Federal, State, County and Local governments are under intense pressure to deliver higher standards of services to more people at a lower cost than ever before. This requires Departments of Transportation along with local Roads & Street Departments to build not only for today, but envision the infrastructure of tomorrow. Today we have infrastructure that we communicate to; tomorrow we will have a transportation infrastructure that we communicate and interact with. 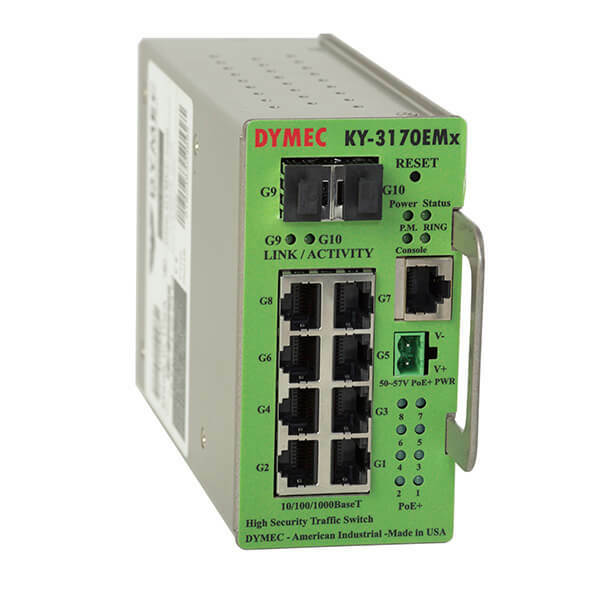 Maximize the reliability and efficiency of our network communications systems, so that they deliver high-quality data, securely, reliably and at the lowest possible cost. Install devices that raise the level of safety and convenience for the citizens, and provide advanced analytical information to those who run and maintain our roads, bridges. Provide Cyber-Security, Cyber-Secure Video, and Artificial Intelligence (AI) to our information networks. In 2002, the City of Wichita, KS approved a program for regional Intelligent Transportation Systems (ITS) projects. 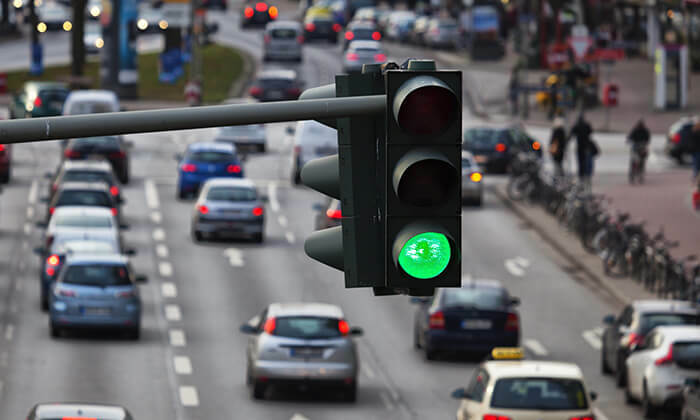 One of the projects consisted of upgrading existing traffic signal systems. A part of this project was to build out network connectivity between the traffic signal cabinets. 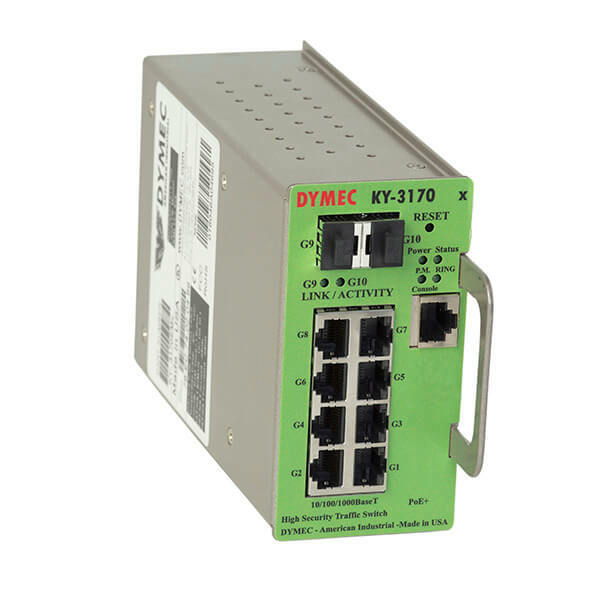 This required network hardware, including managed network switches used to monitor , regulate, and switch traffic in each signal cabinet. 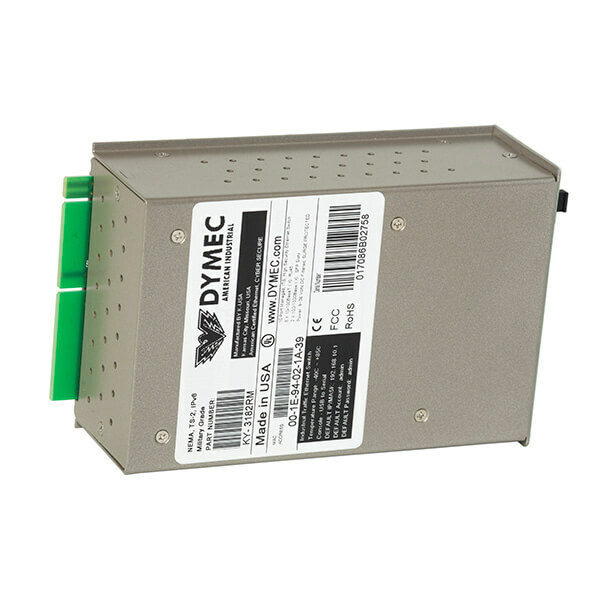 The DYMEC 3170 Traffic Switch was selected in 2010 after an extensive selection process.